George (Theo) Bullmore was appointed to the Board of Directors of the Cayman Islands Monetary Authority effective 21 July 2018. 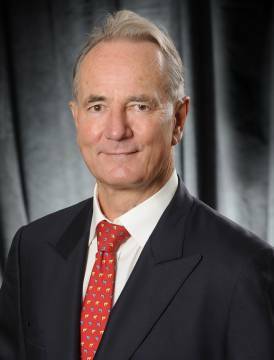 Mr. Bullmore joined KPMG (predecessor firm) in London in 1971 and has also worked for the offices in England, Bahamas, Cayman and Solomon Islands. In 1983, he was appointed partner in KPMG Cayman Islands and later became Managing Partner in 1992. Since his retirement in 2006, he now serves as a consultant to the firm. Throughout his career, Mr. Bullmore has obtained experience in auditing a wide variety of offshore entities, including banks and hedge funds. He is a qualified as a Chartered Accountant and a member of CISPA for over forty years. He currently serves as Vice Chairman and Treasurer of The Pines Retirement Home. Mr. Bullmore currently holds a degree in Pure Mathematics from the Educated at Oundle School and Trinity College Oxford.